I just wanted to write to you and give you my thanks for all the help you provided me along my journey to earn a dispatcher license. It all started on February 13th, … It was certainly an intense 3 months but you were always available and so responsive to emails which was a great help. I learned a lot from the email correspondence we had over the past 3 months. I remember struggling through certain areas, one in particular on a weekend and you came back with a reference on where to find the information so quickly. That meant a lot to me among other things and I am so glad I was successful in the course. Finally getting the chance to meet you at the school was a pleasure and you were very helpful along the way. The Sheffield team works long and dedicated hours to ensure the students are successful and that certainly meant a lot to me as well. ..I know the education I earned from your instruction at Sheffield will serve me well. I will be sure to stay in touch and wish you well in your future endeavors. Sheffield will be well recommended for those who ask for my feedback on the experience. ..I was a graduate of Sheffield in September of 2014. Y’all’s training has helped launch a wonderful career in aviation for me. I have two years of 121 dispatching experience under my belt and am currently working at the IOC for American Airlines in a non-dispatching role… (for now). I just want to thank your school, the whole faculty and Lizett from admin. Let me share my experience in your school..
First of all, Lizett was such a great help for me in the whole enrolment process. Second, Ruben was indeed a great instructor. Many times, I felt like giving up as the course was like a shock to me. I failed in two of my exams but Ruben never failed to help me and explain sections which I don’t fully understand. He may not know this but I got encouraged with the career experiences he shared with us in class. Third, my oral exam was like a roller coaster ride. But gladly, you were very patient to me. Kept on digging what knowledge I have earned while studying in your school. And lastly, your school prepares students for what waits ahead of us. Overall, it was an awesome experience. I’ll keep studying and make sure my future boss see how great Sheffield trains there students for their future endeavours. I highly recommend your school to anyone who would like to upgrade their career in the aviation industry. …I found a job as OCC Dispatcher. Job search took only 8 work days! Some OCC managers admitted that they knew about Sheffield School! Company I am going to work for is Fly Nordica based in Estonia, Tallinn. I am starting next week. Thanks again for the most amazing training I have ever had. My name is xxxxxx xxxxxx. I am a current employee of American Airlines. I got my dispatch certification from a dispatch school in Dallas (xxxx). Upon completing this course I feel that they have left me ill-prepared to do the job effectively, they lacked real world training and they taught flight planning on icao charts and not xxxxxxxxx charts. I am coming to you for guidance and direction I spoke with a graduate of Sheffield and they spoke highly of the program that your school runs, and I wanted to know what you thought and what would be the best course of action, I know that because I didn’t attend Sheffield that u don’t offer recurrent training for me but I am willing to take your recommendation going forward to help further my career. ..By the way I got hired by Jet Aviation about a month ago, thanks for everything! 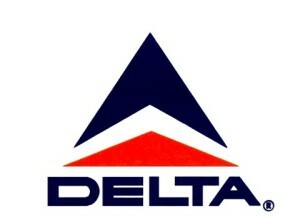 I have just accepted a Flight Superintendent (Dispatcher) position with Delta Air Lines. Today is 12/15; I graduated from Sheffield with my Dispatcher License on 11/8 (just over a month!). I want to share my sincere thanks to Sheffield; the school that made this all possible. From your very knowledgeable and diligent instructors (Personally, Reuben for my two week course, and Brett for my online course) to the well-organized administration and Eric, it was an excellent experience. If I could, I would do it all over again. Thank you for your email – I am really looking forward to studying with you in January. This represents a career change for me …! As I have researched making this move, I have been astounded at the reputation Sheffield enjoys. One of the questions I asked several folks that recruit dispatchers for the airlines was: “What dispatcher school would impress you if it appeared on my resume?” The only response I got was “Sheffield.” In fact, I already have a job offer from one of the “regionals” – and I haven’t even been to school yet! I only hope that I can live up to your reputation! ..I am really looking forward to meeting everyone! Just want to say hello from a August 1992 Sheffield AD graduate. 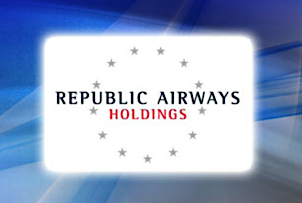 I’m an airline captain at Republic Airlines flying the E-175 based in DCA. Great course and people at Sheffield. Remember Eric putting us through the ringer. Every time i look at my flight release i think of Sheffield. Thank you as always for helping me get to this point in my career. It’s not a lie when I tell you that some of my Sheffield-grad coworkers and I continue to talk about our experiences there on a regular basis. I appreciate all your help, and look forward to talking to you soon. A few months ago I contacted you about an interview I took with GoJet Airlines for a Dispatching position. I wanted to follow up and let you know I was offered the position and gladly accepted. Since then, a few months have gone by and I’ve successfully completed ground school and OJT. Two days ago I completed my comp check and am officially a dispatcher working on my own desk!! Wanted to extend the many thanks to those at Sheffield who have helped and pushed me to reach my goal! I found out tonight that (I got hired)! It’s the job I wanted in the city I wanted… I can’t believe this has happened to me. Thanks for your help, and thanks for preparing me well; after (your) class, the interview seemed easy. Sheffield is one of the greatest decisions I have ever made. The school is such an incredible quality, and the staff are amazing. The classroom instruction is top notch, and the staff all know dispatching inside and out. What I didn’t expect was how great Sheffield was for not only learning, but also for the connections you can make and the help Sheffield offers you after graduation. I look back and have not a doubt in my bones that Sheffield was the absolute best choice I made on my path to acquire my dispatch certificate. I just wanted to let you know I’ve accepted a flight coordinator position at Rockwell Collins, so I’ll be moving to Maryland! I just wanted to thank you and really all of Sheffield, I couldn’t have done any of it without you guys…Again thanks for everything. Again, I want to thank you guys for everything that you guys did. Sheffield was a great experience, and I am happy I picked you guys! I hope everything is good with you. I can’t thank you enough for the training that you all gave me. I have no doubts I went to the best dispatch school in the world. Since graduating in 2011 from your school my knowledge continues to be unmatched. I just want to thank you again for everything you have done for us! I’m very happy I chose Sheffield for my dispatch certification course! I have been recommending Sheffield to everyone who asked me about dispatching, before I actually attended the course (going off of my research on the field), and even more so now that I’ve been through it personally. It was truly a wonderful experience, and please pass this on to Mike, he is a great instructor. His professionalism and the amount of patience he has is amazing. Thank you, all is very much appreciated! Last weekend I’ve finally received my Dispatcher License! I would like to take the opportunity to say thank you, especially to you, for being patient with me during online phase and also to Mike, he is doing a great job. Please pass my regards to the whole Sheffield Team, everybody there made this stay a enjoyable time away from home. If you guys need anything from overseas please let me know, I’m glad to assist you. Just wanted to drop you line and let you know I accepted a promotion as a Flight Follower/Dispatcher here at Kalitta Air! I wanted to thank you, Brett and Michael for the great instruction and support along the way! I’m happy to join past Sheffield graduates (NV, FB, FH and BM) on the dispatch desk here at Kalitta Air! Just wanted to touch base – feel free to share the message below. I was in the 5 week course that started February 29th earlier this year and subsequently received my cert. in the beginning of April. I’d like to thank you and the entire staff again for such a great experience. I recall being in the course and reading the promising emails from previous students in the lobby; this is a similar token of appreciation. As you can see below I accepted a position with Silver in town a few months ago and really couldn’t be happier. To sum my experience up for anyone remotely thinking about joining a course to receive your dispatch license, I say this: what are you waiting for?? For the money spent, I have found Sheffield to be an INVALUABLE investment in my career and future. It is really enjoyable to come in to a job in which one has passion for on a daily basis – kudos. To any prospective dispatchers, please contact me with any interest in touring our OCC. …I got hired by Privaira Air charter here in Boca Raton. Interview went great and when it came down to deciding factor the panel decided to hire me since I was a grad from Sheffield. My immediate manager himself was enrolled in Sheffield so he knew how great you guys are and the hard work you put in to get the grads ready for the real world. Although I am nervous and excited at same time to start this new journey I cannot thank enough for all you guys do…as I go back to my notes and Sheffield powerpoints, all I can say is Eric does great job putting together his notes and getting students ready in this exciting field. I cannot thank enough for valuable knowledge Ruben and Brett have provided to me. (JDS) here, class of July 1998. I hope you are doing well and everything at Sheffield is running smoothly…I can’t thank you enough for doors that you and the people at Sheffield have opened for me since I attended the 6 week course. I truly love what I do and I owe so much to you all. I would just like to thank you again for your instruction, your jokes, and your patience. Considering I’ve had no prior experience in the aviation industry I feel you, Reuben, and Mike did a tremendous job helping me succeed. “I thought Mike did an excellent job throughout the course, particularly in his ability to remain patient with all students.” A. “Mike is a freaking awesome teacher!” A. “Thank you to Mike, Brett, Reuben and the rest of the staff for all of your instruction and help over the past five weeks. The material and concepts were presented in a way that made everything easy to understand and grasp.” E.L.
“I was very impressed with (Mikes’s) knowledge and teaching abilities. His patience was awesome. Looking forward to coming back to visit! Thank you all very much!” R.M. “Thanks for guiding me through a really tough course! Hope your next class, and the class after next will be fantastic! K.
“Thank you for all the knowledge and help!” A. “Mike was excellent at teaching material and doing his best to keep the material taught interesting. Keep bringing more snacks!” A. After a brief waiting period, I found my first dispatch job. I joined Falcon Aviation Services based out of Abhudhabi, UAE. It’s a VIP charter service with a nice fleet. Applied to Southwest Airlines Assistant Dispatcher posting & I’m very glad I came here to prepare me for that! Thank you for everything & I will keep you posted! Retired United Airlines – Sheffield is an outstanding school. Very good reputation in industry – will make sure you get your FAA practical exam. Thanks a lot for your email. The interview went extremely well and now I have a job. I can’t thank you enough for everything the course did for me. The interviewer was a Sheffield graduate and he said he only hires Sheffield people. I still can’t believe how my life changed in just 5 weeks. Now I see why people from all over the world come to Sheffield. Also please tell Rouben and Brett that I’m very grateful for all their teachings. My first day is the 29th and the company is called xxxxxxx Airlines and it is located …. Amazing school! Reuben, Eric and Brett are a hell of a team. I’m a high school drop out who knew nothing about aviation. I’ve been crew scheduling for three months now, just got promoted to planning and now I’m about to transfer to dispatch. If you’re going to dispatch, choose the school that does it the best. Choose Sheffield! You will not be disappointed. I just wanted to write and thank you for the spectacular program you are running there at Sheffield. I graduated Nov. 13 and I just got a job as a dispatcher for Skywest airlines starting in January. I really enjoyed the 5 week course and have no doubt that it was worth every penny. The interview process with Skywest great and I felt very well prepared thanks to all of you. I would recommend Sheffield to anyone looking at becoming an aircraft dispatcher, I feel like I received the best training that I possibly could at your school. I am very excited to start my career at Skywest and everyone there made it possible. My thanks goes out to everyone there. I know this notification is a bit late, but I’d like to let you know that I was offered the position at CommutAir! I started 2 Mondays ago; I found it pretty ironic dating all of the forms that I had to sign with “7/27”! Thanks again for the excellent instruction and experience down in Florida. There are quite a few Sheffield graduates at CommutAir; it’s nice to be able to relate to them based on our educational backgrounds. Wishing you and Sheffield the best! Amazing school! Learned a lot and feel completely comfortable going out into the workforce. First I would like to thank you for the great education I received at Sheffield. It has really helped out tremendously. Less than two weeks after getting home from Sheffield I got a job offer from Gojet Airlines for a dispatcher position and accepted it! I have finished the class room portion of training (Sheffield prepared me really well for it) and am currently doing the on the job training and scheduled to do my comp check at the end of April. Thanks to Sheffield I feel really prepared for my job ahead. Hope all is well in Florida. Hope all is well in the warmer part of the state! Indiana is staying pretty chilly. I just wanted to say thanks for the training I got from Sheffield a few years ago. I recently got hired on by UPS dispatch with just 3 years experience at a regional. I can, with out a doubt, say that the training your school gave me was a deciding factor. Reuben did an outstanding job. Thanks again, its made all the difference in my life. I hope that this finds you nice and warm down in sunny Ft. Lauderdale! Hard to believe it has been just a little over a year from graduation there! …I was a graduate of your January/February class of 2014. I was one of the recipients of a scholarship with xxxxxxx Airlines to attend your fabulous course down there. Thank you for your time sir, and I look forward reading your updates on the grad page! First of all a big thank you again to you and all Sheffield staff for the excellent job you did. Already after my first interview I was offered a job at Air Cargo Global in Frankfurt and start working there shortly in my new role as a Flight Operations Assistant. Now I see, what it means being a graduate of Sheffield’s! It definitely makes a difference! I wish you folks all the best for the future, it has been a pleasure working with you. I’m elated today at the news that I’ve been granted the opportunity to join Dispatch here at Southwest Airlines. I start class in mid-February. I attribute a large part of this major career step in my life to the care and quality given to my initial certificate training. I will not let you down! OK, I know y’all are busy so I’ll stop getting sentimental, but please do know that y’all are appreciated! Thanks again and we’ll talk at you soon!